Our guest in today’s interview came highly recommended. He is 38 and financially independent, just returning from spending 17 months with his family in Ecuador. He was able to do all this through real estate investing. We talk a lot about how he did it and how he is helping others to invest in real estate successfully. You can listen to the podcast here or it is available via the traditional podcast outlets, ITunes, Overcast, Acast, Stitcher, Google Play. Or ask Alexa to play it for you. Enjoy! 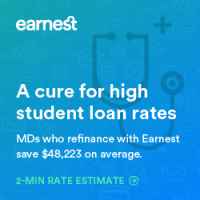 [00:00:19] Splash Financial is a leader in student loan refinancing for doctors, offering fixed rates as low as 3.25% APR. Hundreds of you check your rate with Splash each month, and it only takes minutes to do so! They’re one of the few companies that offers a great resident and fellow product as well, offering low rates and deferred payments for up to 84 months. They also don’t charge any application or origination fees and have no prepayment penalties, meaning you maintain your payment flexibility. 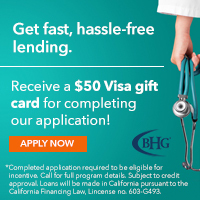 Splash’s new lower rates can save doctors tens of thousands of dollars over the life of their loans. 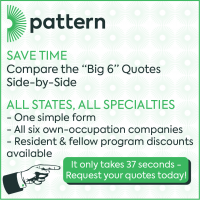 Click here today to get your rate in minutes! [00:02:42] Coach Carson tells us about his upbringing, education and career. [00:06:32] Tells us about his blog and website. [00:08:30] We talk about the real estate courses that Coach Carson has. [00:09:57] His tagline on the site is “practical real estate investing strategies to help you retire early and do what matters.” We talk about what matters to him. [00:12:30] Coach Carson tells us what he did with real estate that enabled him to go to Ecuador for 17 months with his family. [00:18:36] We talk about what he invests in besides real estate. [00:22:53] Discussion on the use of leverage in real estate. [00:26:19] I asked what the biggest mistake he sees new real estate investors making? 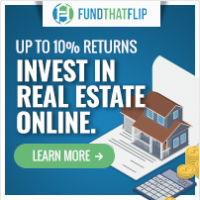 [00:34:24] We talk about syndicators and real estate crowdfunding. [00:37:12] You know one thing I hate about real estate is this rah rah rah thing you get in real estate.Why is that?! [00:42:17] We break it down a little bit to nuts and bolts about what steps you should take to get started in real estate investing. 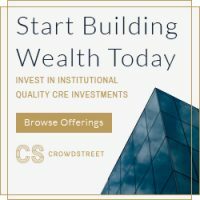 [00:51:02] Go check out Coach Carson’s website and real estate investing courses. WCI: [00:00:19] Welcome to Podcast Episode number 65 an interview with Coach Carson. 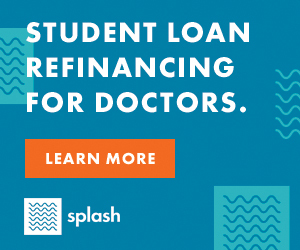 Today’s episode is sponsored by splash financial a leader in student loan refinancing for doctors offering fixed rates as low as three point 2 5 percent APR. Hundreds of you check your rate with splash each month and it only takes minutes to do so. They’re one of the few companies that offer a great resident and fellow product as well offering low rates and deferred payments for up to 80 for months. They also don’t charge any application or origination fees and have no prepayment penalties, meaning you maintain your payment flexibility. 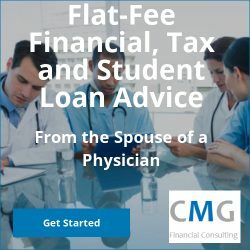 Splash’s new lower rates can save doctors tens of thousands of dollars over the life of their loans. 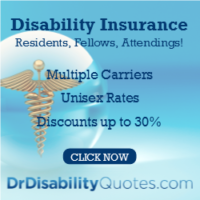 Go to W WW dot white coat investor dot com slash splash financial today to get your rate in minutes. WCI: [00:01:02] Thank you so much. Thank you for listening to this podcast. Thank you for spreading this message to your peers and your colleagues and your trainees. There’s a lot of you out there that are telling people about the white coat investor. And I really appreciate it. But most importantly I appreciate the work you’re doing every day with your patience, with your clients, with those that you come into contact with. Sometimes we get lost in our daily work and forget just how important it is what we’re doing and it’s good sometimes to take a step back and really look at just how important this thing you’re doing is. You spent 10 or 15 years learning how to do it and you’re meeting people on some of the worst days of their lives and making those days better and sometimes giving them additional years of their life to live which is a pretty cool thing that a lot of professions can’t do. So thank you for doing that. WCI: [00:01:47] Our quote of the day today comes from Morgan Housel. We’re going to have a few of these coming up in the podcast because he’s so quotable. But today’s quote is that the line between Bold and Reckless is thinner than people think. And you cannot believe in risk without believing in luck because they are two sides of the same coin. I Think that’s a great quote. Now we’re going to get into our interview with Coach Carson today which I think you’re really going to enjoy. WCI: [00:02:11] Today we have a special guest coach Chad Carson who’s coming to us here and going to tell us a little bit about himself as well as share a lot of insight into real estate investing in particular which is kind of an area of specialization of his and he really brings a rather inspiring story that I think listeners will enjoy today. So I’m going to let him introduce himself because I think people do a lot better job doing it than I do for him. So welcome to the podcast. Coach Carson: [00:02:41] Thank you Jim. Great to be here. WCI: [00:02:42] Yeah. Tell us a little bit about your story. Tell us about your upbringing and education and career. Coach Carson: [00:02:48] Sure. I grew up in Newnan Georgia which is a little small suburb of Atlanta so kind of a metro city. And when I went to school there and the big thing for me growing up was football I played football and then I also went to college prep school a big private school in Atlanta. And so when I graduated from high school I got a college football scholarships. I was a big part of my sort of college student experience. I went to Clemson University and played football there and also got a degree in biological science and a minor in German which had nothing to do with it. I pushed very hard to get a liberal arts kind of version. It was a big engineering kind of science kind of push at my school but I really liked the broad you know little foreign language here a little Literature here a little science here and but I actually kind of relevant to your audience perhaps as I was I was kind of bent on going in the medical field and took my mcat. But I’d been playing football so long I needed a break. Coach Carson: [00:03:45] So I’m just going take a year or two off just to before I go do all this but my application is on hold and lo and behold I just thought I would try entrepreneurship for a little while and learn how to invest in real estate during that break. And looking back and never stop that kept going with becoming a real estate entreprenuer by flipping houses. I can get into the details on how I started. If That’s interesting. But yeah that’s how I got into it from school. And that was kind of jumped in the real estate for full time. WCI: [00:04:18] So I understand you were the middle linebacker at Clemson? Coach Carson: [00:04:21] I was. I was the the big the big head in the middle of the defense tackling people. And yeah it was it was fun. The linebacker it is an interesting position for people who are familiar with football or not. It’s sort of the quarterback of Defense which has a lot of fun right in the middle of things that you have to. One thing you don’t realize about football is a very quick reaction sport. So you have to watch a lot of film. It’s like chess. In some ways I compare it to so like a physical version of chess. You have to have all these different permutations. 11 different players on each side. Different formations and so a lot of times how quickly you react in the moment split second was really important and I’ll have to you know move all the big guys around and get them lined up and they go this way, go this way and that was sort of my job in the middle of the defense as a linebacker. WCI: [00:05:07] Very cool. How many years did you start doing that? Coach Carson: [00:05:10] I wAs a three year starter at middle linebacker. WCI: [00:05:11] A three year starter. Very impressive. And was the NFL ever something you consider? Coach Carson: [00:05:17] It was yeah I was supposed to do well. You know whatever projections being your junior year I was projected to do get drafted and I was all a c c, did pretty well but then for whatever reason my body didn’t cooperate and I went downhill senior year. We had a bad year as a team. 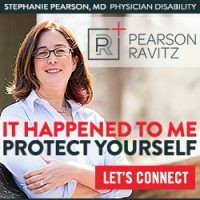 I had a bad years as a linebacker and I think it worked out for the best looking at concussion studies and some other things going on right now. I think it was good that I hung my helmet up there and knowing what I’ve done now since then I think it was a good move overall. WCI: [00:05:50] Now are you still coaching? Coach Carson: [00:05:52] I don’t. I use the term coach just because I’m an educator. I’m a teacher. I write a blog. And so the coach for me always had really good coaches and coaches meant a lot to me and it was always a little bit more than teaching. It was you teach the fundamentals and I like the old school coaches like John Wooden. And so these coaches who kind of cared about their players and so they took it sort of to another level of hey I’m going to teach you the fundamentals. But also there’s this level of passionate caring about what’s going on and getting things done and incorporating that discipline of sports and fundamentals. And that’s just why I picked it up and ran with that name as I started blogging and teaching and doing some things online. WCI: [00:06:32] Very cool. Tell us about the blog and the Web site and what you’re doing there. Coach Carson: [00:06:36] Yes. My Web site is all about the intersection of real estate investing and financial independence. That’s about the two things I’m sort of passionate about. I don’t think real estate investing is the only way or the best way necessarily. It’s been very good for me. And so what I try to do is because it has so much experience eating,breathing you know real estate the last 16 years. I just have a lot of kind of practical knowledge around how you get started how you build it how you not not pigeon your hole pigeon hole yourself into a corner. A lot of real estate education I think gives these little cookie cutters. This is the best cookie cutter. This is the best cookie cutter and what my website is all about is. Here are some primary paths and primary options. If you had a goal to become financially independent. Here is the top of the mountain. Here are several really good paths and then here are the fundamentals you need to learn. If you’re going to climb a mountain or become a doctor. If You can do anything, you have to learn the basics of how you implement a strategy and so I like to get into those nuts and bolts and the practical stuff in that connect that with a big picture goal like financial independence. WCI: [00:07:38] Now for those who aren’t familiar with this this can be found at W WW. Coach Carson dot com. And as I look at this site I see that you offer some courses but they’re free right? Coach Carson: [00:07:49] Well one of them is free. That’s that’s my. Yeah I’m not doing a great job of making money. Maybe I need to learn learn from other people but over time I’m definitely it’s a for profit business. I teach and educate and so I have free information on the blog. But then I have a free course introduced so people can see my style understand, how I’m teaching. My assumption as a sort of a marketing strategy if you like the free information than a paid course which goes into more depth about helping you get started with real estate and help you pick your specific path. And that’s going pretty well I’ve got a lot of students and a community behind that and I’m looking forward to growing that slowly over time. WCI: [00:08:30] Very cool. So a lot a lot of good tools and free newsletter. One of the two courses is free and of course the other ones are paid Course. Tell us about the difference between the two courses. Coach Carson: [00:08:41] Yeah the first one I try to be very specific about the beginning and very general in terms of right here here’s your financial goals here’s what here’s what you’re trying to accomplish if you’re trying to make hundred thousand dollars a year and from your real estate. Let’s work that backwards and just try to understand why real estate can actually help you do that. When I talked about the fundamentals. That’s what I mean by that. What are the actual tools in real estate. Is it a rental property? Is it a note? How do those notes help you accomplish that financial goal? So some of those I think more fundamentals and with the course the differences we get very personal with that general information. So we actually have two times a year open it up and then as a community people we go through it and have some challenges. For example where if you’re going to choose your target market and where you’re going to be investing you’re going to be more direct ownership kind of model than we go through as a group and help you learn your market study and understand the fundamentals of population, demographics. And then we go to the next step of understanding how once you have a market how do you find deals in that market. How do you analyze those deals and you get them the number on the numbers. 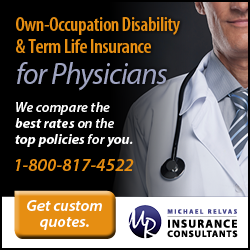 So it’s more about customizing a plan for you as opposed to you can get general information on anything out there. But I think taking that and applying it to your situation is something I do a little bit different. WCI: [00:09:57] Very cool. 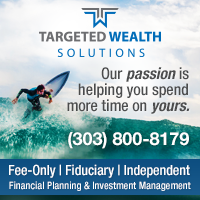 Your tagline on the site is practical real estate investing strategies to help you retire early and do what matters. So I want to push back a little bit on this one. All right. What matters. You’re saying do what matters what matters in your view? Coach Carson: [00:10:13] Yes so it’s obviously a personal thing. But my passion so like I had even above real estate about financial independence. One of the things that has been really interesting in my life and has made my life very rich was having opportunity as an entrepreneur and then as I became more financially independent with passive income regular real estate income coming in was that I was sort of faced with this challenge of asking myself that question what does matter? You know I think in my experience at least and maybe other people can resonate with us as you go through school as you go through perhaps grad school but there’s sort of this progression that you go through all the way up until your case is your 30s and forget the progression doesn’t necessarily ask you like what would you like to do with your life. What exactly would you like to give what are your skills? So for me it was really fun as I got more space in my life. Start asking that question. All right. Let’s just take money off the table. Let’s assume money is taken care of. And I know I’ve gone down this path. I’m an entrepreneur. I’ve done certain things in my life. I have a family. I have this house. You know what if I started over if I said you know as a you know a dreamer 18 year old kid you know. Now what do I want to do with my life. I’m 35 years old. I’m 30-40 years old. And you ask yourself that question. Coach Carson: [00:11:32] I find the answers are really interesting and I’ve gotten so many different answers which is one of the fun things what I do is that I’ve had people say I would like to continue doing what I do. You know I love my job is great. But then when I push back on that a little bit they said Well but you know the schedule of my job I really don’t like. I really don’t like all the strings attached to what I’m doing. And so a big chunk of people would say you keep doing what I’m doing. But I work a different schedule. I would push back and negotiate more but it had to do with money. I would do what I love but that’s all I do. I wouldn’t do all that peripheral stuff. Other people say you know I don’t really like my job I would rather do something completely different. That is not that does not have a lot of monetary reward. Coach Carson: [00:12:12] In my life Parenting is one of those things. Where having more space to parent and my wife and I you know deliberately took we took a trip for 17 months we just got back about a month and a half from that to Ecuador in South America. 17 months yes. WCI: [00:12:30] Most people go to Ecuador for 17 days. You went for 17 months? Coach Carson: [00:12:34] 17 months was supposed to be 12 months so we kept on extending it. But my wife is a Spanish teacher and I always we first met foreign languages and visiting other cultures was a big passion for both of us. And so when we had kids we always knew right when they get you know maybe our younger will get going is 3 years old. I think we’re ready to take the big leap into an extended trip abroad where they can learn the foreign language where they can understand that things are done differently in different cultures. But most of all that we can have a lot more space to have meals together to talk to each other, to walk our kids to school, and just get kind of out of that frantic rush. And so for me that’s kind of my definition of what matters is having that space to do that in addition to other, I love entrepreneurship. I Still love investing. you know mixing those in a way that’s more balanced that my life is important and so I give you that as an example. But I also love the fact that what matters is such a unique answer for everybody and so I just try to encourage everybody to ask. Don’t don’t assume that what you’re doing is on the right path and yourself that question it assume that you have no money is not an issue. What what would you do differently would you take a one year trip. Would you start a different job that makes less money. Would you change your role where you are. I think that before we start talking about practical kind of tactics I always start with that because that’s sort of the end goal that we’re trying to get to. WCI: [00:13:58] All right we’ve got to go back and get a little bit of specifics on this 17 month trip. How old are you now? Coach Carson: [00:14:05] I’m 38. WCI: [00:14:06] And what did you do financially that allowed you to go on a 17 month trip to Ecuador which sounds like it wasn’t paid. Is that correct. You weren’t being paid down there? Coach Carson: [00:14:14] No no I was not paid. My wife taught English. She made a grand total of I think she was the premium English teacher down there made 10 bucks an hour. So yeah we were we were not getting paid down there. Rental income. That’s that’s how we paid 100% of our bills. WCI: [00:14:27] Let’s go back let’s go back to the beginning. Explain how you’ve built up enough rental income to be able to support that sort of a trip at 38 years old. Coach Carson: [00:14:36] Yes so in the beginning like I mentioned earlier I started off just as a deal person by finding deals flipping them making little chunks of money. Over time they became bigger chunks of money but I was basically just a buy sell type investor so it was a business. It was a job. But over time about three or four years into my business I started just right out of college. I didn’t have any college debt. That was a benefit that I didn’t have any big huge chunks of money. I was very leveraged. I used partners. I used private investors. I used other people’s money basically to partner with me to be able to flip some of those deals. Over time though I had a business partner who we’ve been a 50/50 partnership since we started and we started saving some money. We started buying a few buy and hold rental properties which today is almost all of what we do. We do a few flip here and there one is when it makes sense we get a little kind of small developments when it makes sense but we really my love and my what paid for the trip Ecuador was the fact that we had accumulated from that time we started over a 16 year period about 90 rental units in Clemson. And so those are some of them most of them are small multi units some duplexes, quadplexes. The biggest we have is a 12 plex building but my style which might be know interesting segue other things we could talk about but my style is very much a direct ownership real estate style. That’s what I know. That’s what I’ve been involved in. My father had rental properties growing up, that’s another part of my story, so I sort of saw that from as a kid observing what he did and what my mom my mom was a dentist she’s a medical professional. And so I sort of saw their model and how they did it and how that eventually if you come get rich slowly type model you can build wealth you can use some leverage upfront you can pay that leverage off eventually you can increase your cash flow reduce your risk and have a nice solid portfolio that can pay for your lifestyle. WCI: [00:16:32] Now your dad had some real estate properties, your mom was a dentist. This is a nice combination a doc and somebody into real estate. I found that works pretty well but I understand there was also an emu farm involved. Can you tell us about the emu farm? Coach Carson: [00:16:50] Yeah that’s not one of his success stories but it sure made some good stories for me and my brother growing up. So my dad was he was just an entrepreneur. He was real estate was his bigger success but he also had a computer business when I was growing up when I was young. It was tough. You know technology was changing a lot them back in the late 80s and early 90s. And he actually sold computer software for the front office of private dentist practice. He had done it from my mom’s practice and he out of programs some software so he said all right if I did it for her practice I’m sure there’s other practices would want to buy this. But he ended up traveling all over the country and there was lots of support but he’s not a great salesperson. And so eventually he sold that business. OK. So the next thing was sort of an adventure and a speculative farming adventure called EMU’s. The big huge ostrich like bird from Australia you know they and they had a little two or three year period there where they were it was going crazy people buying and selling these things. Sounds absurd I know but they tried to make a little money on that. That wasn’t a great venture either. And he settled back into a real estate where there was much more stable and conservative and had a nice track record for working over the long run. WCI: [00:18:05] But in essence your career has been real estate investing. I mean it sounds like that is what you spent most of your time doing and it’s worked out very well for you to the point where it sounds like I mean if you’ve got 90 doors and you’re able to take 17 months off it sounds like you’re pretty much financially independent to this point. Coach Carson: [00:18:22] Yeah I don’t I don’t have to. We did not have to accumulate a whole lot more wealth. There’s some things that I would like to do for them a risk and diversification standpoint but in terms of generating income and having enough money coming in I think we’re right a pretty good point. WCI: [00:18:36] So do you invest in anything besides real estate. Given that this has been your primary area of career focus really? Coach Carson: [00:18:43] Yes I Early on, I was very concentrated. I was also very leveraged which you know has its downsides especially when you’re going into 2007-8 we sort of hung on by the skin of our teeth and survived. But now I think now that we do have a base of income and I say we because my business partner again so those 90 units are the two of us 50/50 partners. I’m personally looking to diversify that over time I’m not in a hurry because I do know that the assets I do have I feel I can understand them very well they are simple which is one of Buffett’s you know maxims is just go with something you know, you understand, so I feel comfortable with investments I have. But I also understand over time for example when I have some backup plans and so for me like the basic start of that is invested in index funds and I think you know right now it probably is almost all in my my Roth IRA and my wife’s former 401K from her teaching job. And so that’s I just keep it simple. Sounds like from looking at your Web site. Pretty similar sort of philosophy. Low cost index funds. Very broadly diversified, domestic and some international and over time I’d like to get that to a higher percentage. I wouldn’t mind being over the long run 5-10 years from now having half real estate half maybe 40% in equities 10 percent some other short term bonds cash and things like that. 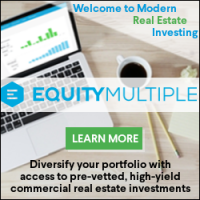 WCI: [00:20:06] Here are similar investments to mine just a different asset mix some much more stocks and bonds and a smaller portion in real estate you are a larger portion real estate and a little bit less in stocks and bonds. But both are both very nice asset classes. What is it about real estate that you find attractive as an investment as a business as an asset class? Coach Carson: [00:20:27] Well I mean there’s the basic things that a lot of people might have heard of just the fact that for me growing my initial wealth and wanting to live off of it I find that because real estate produces income at such a larger percentage than other assets do that it makes more sense it’s not as volatile in terms of having to live off that. For me having that steady rental check coming and is a really solid foundation for everything else I do. I could be more speculative on other things. I can go be more aggressive when I have, I don’t have the concern about having having that money coming and so I think that’s one of the really things I like the most about it especially as a first kind of core part of your investment investment portfolio. But the other things I like are are somewhat more intangible. I like the fact that there’s more control and that you have the ability to influence both the success of your investment especially when you’re direct your directly owning them and also the timing. So if you’re someone who has a timeline 10 years from now when to be able to live off my investments. There’s certainly some things outside of your control real estate. But I think that the lever that I’ve used to grow my wealth which has primarily been saving extra rental income and saving it for the next property or amortizing my loan either kind of standard amortization or aggressively paying that loan down quicker than I had then than the amortization schedule. Both of those are within my control. I’m not having to wait for appreciation. I’m not having to wait for anything in an outside market happening as long as I can keep my property full and as long as I can be disciplined about saving that money and paying my loan down. Coach Carson: [00:22:07] You can project out 10 years and say All right. All I need to do is buy this many properties, saved this much money, get those properties paid off and then I’ll have that much money coming in. Coach Carson: [00:22:19] And that’s such a simple you know formula and sometimes people wait a minute you need to get it more complicated that it can’t be that simple. But that’s basically what we’ve done. We’ve just accumulated a certain number of properties. We said that’s enough. All right we really don’t need any more than that. In fact I would like to have fewer properties that we have right now we have too many. And then it’s a matter for us as a matter reduce as much risk as possible. Let’s make sure there’s no crazy mortgages that had balloons on them or adjustable rates. Let’s pay off a big chunk of our mortgages and then get to a place where it’s much more stable. WCI: [00:22:53] What’s the most amount of leverage you ever had at one point. Coach Carson: [00:22:57] We were always probably max 70-75 percent maybe because in the way I did that I mean I didn’t have a lot of capital upfront to make down payments so I mentioned earlier that I was partnering with other people or using private money. So like I would go to a professor a person I met at Clemson University who was a business professor and I told him I said I had the ability to find really good deals. I’m a I’m a deal find or I’m out knocking on doors sending letters going you know talking to foreclosures I’m out finding stuff and I can find 100000 our house that I’ll be all you know my total investment including repairs and everything will be 70000 bucks. So 70 cents on the dollar was what I would shoot for. And so my proposition to that individual to him the professor was if you could fund that for me. So basically being a hard money lender are kind of more of a soft money lender in my case because it’s a little bit more little bit less less less interest over time but he would fund it almost all of it. Sometimes I have a little skin in the game but early on I didn’t. And so but I still had equity in the property so it was still worth 100 thousand dollars and I owed 70000 or 65000. So that was for me that was 100 percent leveraged on my cost or 95 percent leveraged but also had some safety net that I could add that I could dump the property or we could refinance or I could turn it back over to the investor if we went into a crazy market where things went haywire. And luckily I didn’t have to do that. In 2007,8, 9 but we were highly leveraged going into the real estate downturn. But the saving grace for us was a couple of things. One was we lived very frugally and so I made it we made a lot of money flipping houses in the run up and we said almost all of that aside a big huge cash reserves. And so we ate and a lot of a lot of those cash reserves when we had vacancies and we had properties that we bought that underestimated repairs for example. So we learned a lot of lessons that cost us money but we were able to pay for some of our lessons by just having cash reserves. But the other thing we did was not all leverage is created equal. So a lot of the people if you look at both real estate and also big corporations that went bust and 2008 9 10 and even in other past recessions one of the biggest faults was the type of financing they had. If you had a call on your loan or you have a balloon on your loan which almost all commercial loans do some point if you have a three year balloon in a five year balloon where the bank can say give me my money back when you have a credit crunch they’re all going to say give me my money back. And so if you are going to be leveraged it’s much safer to have people who have loans that longer term fixed interest rates. And I feel like we got kind of lucky that I was not very bankable because I was an entrepreneur. A lot of banks looked to me as unemployed. So I went with a lot of a lot of individuals self directed IRA accounts self directed for a way to 401k accounts as my lenders and so they gave me a little bit you know five 10 10 year terms 15 year terms. But also individuals where I felt much more comfortable with the things got really bad in my over leverage position. I could sit down over coffee and talk to that person as opposed to having a bunch of bank loans and things go bad. That’s a little bit worse situation. 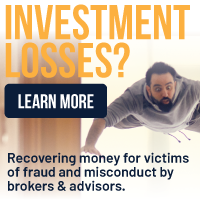 WCI: [00:26:19] What’s the biggest mistake you see new real estate investors making? Coach Carson: [00:26:24] I think I think they misidentify what real estate really is. So real estate is this hybrid concept. It’s when you first start it. It is a basically a business startup. It’s not an investment it’s a business startup. But the thing I like it so that goes back to my comment about control and timing. I liked the fact that it’s entrepreneurial. I think that’s a benefit. But over the long run it turns into more of an investment. So when I was in Ecuador I spent one or two hours one or two hours per week managing the managers of my property. I would do bookkeeping. I would answer some questions. I like to see what’s going on and pay some bills just as keep my pulse on what’s going on. But you know one or two hours a week is a very very hard time job for 90 properties for 90 units that I had five units or ten units. It was even less than that. I could probably do a few hours a month. Given that some good systems and some good people in place. So again the misconception the mistake I see people make is underestimating the fact that getting into real estate is a business on the front end that’s going to require time and effort. And I think that’s necessary I think that’s a good thing. I think that like any other profession I think you should learn something and pay your dues a little bit and with real estate if you’re able to pay those dues upfront then you can get to the point where I feel like I’m in a really good point position now which a lot of people who have been in real estate for 10 15 years get to the point where you can make a lot of money. You have a lot of networks without expending the same energy and effort upfront. I can put the either as the passive investor and understand what’s going on because I’ve been there in the trenches and I’ve done the work and I know what kind of problem is going to happen. You know it’s passive and I have a little bit more knowledge of what’s going on. WCI: [00:28:10] So what do you say to the real estate investor that doesn’t want to make real estate investing their career. They don’t want to get any calls from tenants they don’t want to fix toilets they don’t even want to pick out their own properties. But they’re trying to do real estate. What do you say to those guys? Coach Carson: [00:28:24] Yes I think it’s a tricky situation. As I was just saying I think it’s a great passive investment over the long run but I’m sort of one might be kind of countercyclical counter advice to some people get with real estate. I don’t think you should start off passive. I don’t think you should. I don’t think you need to do the toilets to get the calls the middle of the night like I think you could always hire a property manager to do that. But I think at a minimum owning one or two properties where to me is like the very similar to the person who’s in a family business and they own a retail store or something and the old grandfather grandmother requires them to sweep the floors are clean the bathroom first. I think there’s I think there’s value to that because that’s how we learn and that’s how we get in there and we understand the processes. And so I think it’s dangerous when you jump right into something and you invest hundreds of thousands of dollars without having that kind of granular level of understanding of the product that you’re investing in. And this goes all the way to some of the current vehicles out there that are available. I think we were both interested perhaps as crowdfunding type things. I’m kind of dabbling a little bit interested in some of these more passive kinds of vehicles we can press a button and invest in something but I think I’m still lukewarm on that because because of what I was just saying because I think the direct ownership getting involved in education is an important part of the process. And before you become passive investor and so what I’m worried about with a lot of these even I have a hard time understanding the due diligence on some of these properties and I certainly have a hard time when I read really think you know 100 page disclosures in legal documents and I don’t like the complexity of all that. That kind of shields some of the fundamentals of what that real estate is. Real estate is a hands on. You know it is an asset that has real value as local so that the farther you get away from that and the farther you understand that the more risk you’re opening yourself up to. And so I think either starting starting that level where you have some direct ownership is the step. But what I would say to people who want to become more passive like it if I had a like a soapbox that I get on this is when people in your 20s and early 30s and this might be people who are medical professionals and they’re doing their residency or just getting out of grad school if you can you can basically turn your residence into an investment for a certain period of your life so it could be three or four years it could be 10 years your life by doing what we in the real estate world call something like a house hack where you’re kind of had a hybrid between a house and an investment. So for example if you can move into one side of a duplex and rent out the other side while you’re still sort in your low income phase of your career you’re going to learn a lot about owning property. You’re gonna learn a lot about managing a tenant. You’re gonna learn about what’s it without without a lot of risk. You know it’s not a big deal even though it might seem like that you’ve never done it to manage one tenet you know in a unit next to you or to have a basement apartment and do some Airbnb rentals to pay for that basement. But what it does do for you is that later on in life when you do start accumulating more money and you’ve you’re going to go invest it in a little bit of real estate perhaps you’ll have an understanding of what it takes on that granular level. And then I think then maybe going back to some of those more passive investments could make sense now that you have an understanding of what that asset is. WCI: [00:31:50] OK so let’s take a scenario it’s too late to do that. You’re 45 years old. You’re a physician, you’re a dentist right. You haven’t done any direct real estate investing at this point. Are you willing to go so far as to say these folks shouldn’t invest in real estate at all if they’re not willing to go in and get their hands dirty and actually you know do some direct investing? Coach Carson: [00:32:11] No no what I would say though is that I would I would invest with somebody who is. So my second favorite, You can’t own it directly to start off. I would be that that professor who started with me for example. It was all about networking it’s not going to be a no work situation which might be bad news in some case. I still think there’s always some effort upfront a little bit of a hurdle to get over upfront. But for example if you found a person like me when I first started this entrepreneur who was out there working and finding deals and you probably would meet them by going to a local real estate networking meeting for example you might meet them on a forum that might be the white coat investor forums that might be a bigger pocket’s forums. So you’re going to need to meet some people. that’s my main point and you’re going to leverage that person’s time that person’s energy and be a partner with that person. Find somebody who is trustworthy which is not a given these days but find somebody who’s trustworthy who’s out there working and go into a deal with them be their lender be their partner, loan the money to them, go buy the site. Watch how they’re fixing it up, you know learn why are you doing that? why are we doing that? You don’t have to be 100 percent involved but you are understanding a little bit more about how it’s working. Before you go into the completely passive. That would be my second recommendation. WCI: [00:33:32] There’s no index fund? Coach Carson: [00:33:34] I don’t think. Yeah. WCI: [00:33:35] Because that’s what a lot of my readers want. 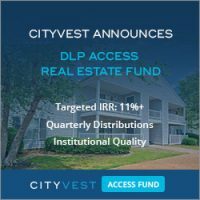 They want to invest in real estate they want to get these solid returns that aren’t correlated with the market and they want to be able to push a button and do it. You know they don’t want to go out and have to go to a real estate networking meeting. You know I have to find somebody wonder if they can trust them before they put their 100 grand down. Yes. That leaves a lot of us you know high income professionals in a bit of a dilemma and we end up looking either at publicly traded real estate investment trusts like the Vanguard REIT Index Fund or perhaps some of the crowd funded or these private ereits like you’re seeing with Realty Mogul or fundrise or these companies or just you know the crowdfunded investments themselves at each of these platforms or getting in with some sort of a syndicators. WCI: [00:34:24] You know there’s a number of these syndicators out there that are doing this or even a real estate fund. 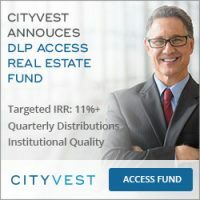 One benefit that a lot of these high income professionals do have is they qualify as accredited investors so they have access to some of these private real estate funds or these syndicated investments that are looking for accredited investors put in 50 or 100 or 200 thousand dollars. 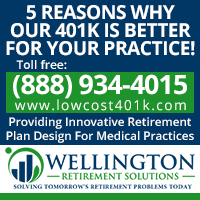 What do you think that’s an advantage to be an accredited investor in this space? Is that just mean you’re more likely to get taken? Coach Carson: [00:34:53] I would say maybe yeah my answer is going to be maybe. It could be an advantage. I think you have a lot of deals coming to you. But going back to that previous conversation if you know I’m not saying you have to directly own real estate to get educated. I mean if you’re if you’re a medical professional you’ve spent years of your life educating yourself about something important. And so I would just say education is not optional. So if you can’t you can’t do it directly. You’re not a direct learner. I would say being an accredited investor could open you up to more risk because you can have people pitching stuff to you and if you don’t understand that if you don’t have kind of fundamentals understanding what they’re putting you in I’d say don’t do it. Coach Carson: [00:35:31] I think the difference is that there’s certainly a ways to can educated. You could ask questions. You could read books. You could go to take some classes you know. But once you do that I think being an accredited investor does have some advantages. That’s where you have more options you can go to realty shares you can go to Peer Street go to some of these that have a lot of deal flow. And then you can be picking and choosing like you know as I’m playing around with those crowd sharing sites. I’m trying to learn and apply what I’ve learned as a direct investor to making these kinds of investments all over the country. I’m investing in California in a county I have no clue about. And so how can I protect my risk? How can I understand that? And one of the best things that I do like about crowdfunding is that you can diversify so I think you should be like All in all on investment. This is what I learned reading The Intelligent Investor from Benjamin Graham was that you should either be a completely passive investor or you should be all in like I’m analyzing the heck out of these investments and going to the great understanding due diligence due diligence needs to be one or the two. WCI: [00:36:37] Concentrate all your bets in one basket and watch it very closely or don’t put all your eggs in one basket. Coach Carson: [00:36:43] Exactly. If You’re not willing to do the due diligence and real estate and really understand, read every single document. Look at the values and understand the market. I think you are opening yourself up for risk and I would just say buy an index fund you know go go completely abroad and I’m totally cool with that. I think that’s an awesome has nothing to do with real estate. Companies who have a proven track record of you know three or 4000 managers when you own the total stock market index you are going to reinvest your money pretty well and do pretty well over time. WCI: [00:37:12] You know one thing I hate about real estate. I hated about the books. I hated about the seminars. I hated about the websites. Is this rah rah rah thing you get in real estate. Why is that there? There is none of this in stock investing or mutual fund investing. I mean maybe you see a little bit of it in cryptocurrency. But mostly it’s you know you see it in real estate and you see it in you know Amway where the seminars trying to get you excited about it to go out there and do it you know. Can you explain Why is that In real estate? Is that a good thing or a bad thing. Coach Carson: [00:37:53] Well hopefully I don’t have any firsthand experience with that because it’s not really my style either. But the way that I can guess, for my, I have people come to me who spent 15000 20000 bucks on some you know upsell kind of thing. And I think you’ve got to get people riled up and kind of play some psychological games in order for them to forget that they’re spending 15 or 20 thousand dollars on something that can’t possibly get a return. So you know I don’t know that a lot of shucksters out there a lot of people who are not thinking about the best intentions of their customers. And so the real estate guru business, I won’t even call it education, guru business is certainly one of those. And I think it’s more of going back to the business side of a real estate. There are potential you know I’ve bought and sold a property that made sixty five thousand bucks and one pop you know within a three month period I can go around talking about that say look you too can replace your your annual salary with one deal. That’s great. You know that that sounds that sounds amazing doesn’t it? Unless you ask questions that understand how you did that deal what risk I took, what you know the five years it took for me to get to that point where I could do a deal make sixty five thousand in three months. So yeah I don’t I don’t enjoy that either. Coach Carson: [00:39:07] That’s that’s one of the reasons I, me – using the name Coach for me is like going back to sports is such an interesting metaphor for life and for business. And I always liked John Wood I mentioned earlier it was it was one of those coaches who you know the old school coach who focused he used to teach his players the first day of practice how to tie their shoes and spend an hour learning to tie their shoes. And you know this all-American 6 foot 10 basketball players are itching to go out there shoot a basketball and play. And here he is. Over and over again teach him how to roll their sock. Don’t get a wrinkle on your side because you’ll get a blister. Here’s how you tie your shoes. You don’t injured and you get them to the point of exasperation say. Are you wondering why we’re spending an hour learning how to put our socks entire shoes and he would explain he said look if you get a blister you’re going to miss two practices if you missed two practices you can’t play in the next game or you won’t play as well the next game. And he would proceed all the way to show them how them not putting their sock on would effect their championship that they were all trying to win. And that’s that’s that’s my approach to education and to doing anything whether it’s real estate or business or you know starting starting any venture that you’ve got to focus on the little things in the process before you can get to the rah rah stuff in the end. WCI: [00:40:19] Yeah. Now you’ve written that real estate is hard. That it should be hard and that you should be glad it’s hard. What do you mean by that? Coach Carson: [00:40:27] Yeah I see it as a barrier to entry, so I’m quoting back to Warren Buffet. Warren Buffett always likes businesses that have a moat around them, meaning it’s like an old castle where the more dangerous the moat you should have some fire breathing dragons living in the moat and underneath the bridge and it should have alligators in the moat. You’re gonna have a hard time attacking that Castle when you have alligators and fire breathing dragons in water to swim across. And so I see that same way with investments, is that real estate is pretty popular as we’re talking right now in 2018 as it was in 2006 and seven and this thing goes in cycles. But the more difficult something is on the front end and either intellectually difficult or physically difficult or it just takes time. The people who can figure out how to solve that puzzle have an advantage. That’s a good thing. Coach Carson: [00:41:16] So when it’s hard and there’s a problem, I don’t automatically respond this way, but when I have a problem in my business I’m all right if I’m thinking clearly about it that that’s actually a good thing because you know my competitors are probably going to run into the same problem and they’re going to have a hard time, and so let’s let me figure this out let me try to build a system around it, let me hire somebody who knows how to solve it, and I’ll give you a specific example – you mold mold is one of those properties with mold like you know oh my gosh there’s there’s mold in this house don’t buy that, or structural issues – like don’t don’t buy a house that has some some Joycean cells that are rotted out that’s horrible. Right that’s what most most but even people who consider themselves real estate investors might run from that kind of thing. Well if you are into things being hard, at finding barriers to entry then you would say give me all, you know go to your realtors say give me every house that has mold, give me every house that structural issues. That’s the one I want because you’re going to reduce the competition. WCI: [00:42:13] Especially if you already have a system of place to take care of those problems. Coach Carson: [00:42:16] Yeah, exactly. WCI: [00:42:17] So let’s break it down a little bit to nuts and bolts here. Let’s say you’ve got a doc that’s 40 years old realizes you know what I don’t want to be practicing medicine 80 hours a week until I’m 70 years old. I kind of want to see how quickly I can free myself from it so I can do what I want. Has never invested in real estate has no experience with it 40 years old maybe making 300 thousand dollars a year at his practice. What steps should he take to get started in real estate investing? Coach Carson: [00:42:49] Well there’s two things. One is the the capital. So if you’re making three hundred thousand a year and if you, I assume you have good credit. Those are big benefits you have. That’s something you have that me when I first started I didn’t have I didn’t have credibility with banks I didn’t have a lot of income coming in. So let’s take advantage of that, lets saved up you save up some cash for a down payment or if you preferred to not have any leverage you could just pay cash for some properties. So one way or the other step one is let’s save up some capital, let’s set that aside. If you’re making 300000 yeah I’d say can you can you put aside 50 to 100 grand for for your real estate venture – that would be a good starting point. Coach Carson: [00:43:28] The other side of it is in choosing which which route you’re going to go and real estate’s a huge universe and so, are you going to be a lender would you prefer to be somebody who loans the money and let find some people who are flipping houses either directly or through one of these crowd funding sources, and you just want to go that route? Or do you want to be, you want to start off being a rental property investor buy buy and hold and do it that way. WCI: [00:43:54] I don’t know man. I’m just sick of being on call every third night. I just want I want to do real estate and get out of it you know. Coach Carson: [00:44:01] All right. So even if you’re a landlord, here let me explain that one because that’s one of the biggest misconceptions I have is that you’ve got to be on call. I’ve traveled for 17 months I’ve been all over the place I haven’t been home in two years and I’m still not going to houses I’m not taking calls the middle of the night, that it doesn’t have to happen that way. And so the first of the first thing you need to do if you’re going to go buy direct real estate is you need to build one or two good team members and that the main one is going to be your agent who is on the ground, and or it would be nice if that agent was also your property manager. Coach Carson: [00:44:32] If that’s the one, if you can find that one person – and they’re out there, that’s that’s that’s going to take a little bit of asking around. You could talk to your network I for example just to give you one specific example – Somebody I know is super good at that kind of thing. There’s a guy in Houston, Texas that I know named Arian Shehai he’s a broker he writes a blog an investing architect. He’s just a solid agent. He’s a real estate agent who also goes out and finds properties for people in the Houston area. There are people like that. There’s real estate agents who specialize in finding investor properties. 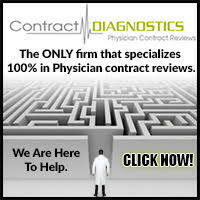 So you would you would have a consult consultation with a person like that. Yes I’ve got my money. I’ve got my mortgage lined up. Go find me some good deals. And they would work and they’d make a commission whenever they found you a good deal. They would also, they or somebody on their team would manage the property for you. They would take those calls in the middle of the night. And so you could take that 50 to 100 grand and buy two, let’s say you bought two solid rental properties and these are not going to be like low end you know high management kind of properties, they are probably going to be you know we call it might B neighborhoods you know it’s not going to be like the ritzy neighborhoods probably going to be. WCI: [00:45:38] Sounds Like they’re not going to be in the Bay Area either. Coach Carson: [00:45:40] No no they’re going to be the center of the country they’re gonna be in the south. And even if you live in the bay area they’re still going to be in the center of the country or the South. And that’s perfectly fine. You need to buy them where there are reasonable cash flow ratios. So you know the kind of a rule, a quick rule of thumb if you can find something close to the one percent rule. It’s not the end all be all but the one percent rule means if you invest 100000 dollars at the purchase price of your property 100000 bucks. You want to be close to about a thousand bucks a month in rent. That’s that’s rough rule of thumb. There’s exceptions you can sometimes be better or worse, but that’s that’s what your realtor is going to be out looking for for you. Coach Carson: [00:46:19] You’re going to be the one who puts up the money and you’re the one who’s going to get the loan that these other people on your team are going to be finding the deal they’re going to be managing it for you and you’re going to work together to manage that asset for 10 years from now if you are disciplined with that, those two properties that you maybe you bought for 150000 each could turn into, that’s 300000 purchase price total. Those might turn into a five six hundred thousand dollar asset combined and their income once you could aggressively pay those loans down the income can be one one piece of your get get out of the job kind of income. You could also have some other investments that provided some stability. But again you could use that income as sort of a base for what you need to exit the job. WCI: [00:47:04] It’s kind of interesting the difficult part seems to be finding the guy, you’ve got to find your guy. 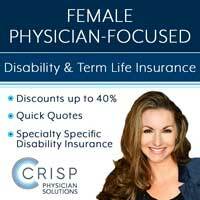 I know a lot of docs have gotten in trouble doing that trying to find their guy when they go looking for a financial adviser and they end up with some life insurance salesman or some broker, and you know they’ve gotten into a lot of trouble doing that. Do you have any tips for knowing when you found someone reputable? Coach Carson: [00:47:27] Yeah I think it is, compare it to working with people in your current job so when you work with someone, if you’re a surgeon and you work with somebody next to you – you know what kind of what kind of things are you looking for there? I would guess you’re looking for somebody who has competence in what they’re doing. So be able to ask them five or six questions that demonstrate a competence. For example with a property manager, I would ask them I would say can you tell me about your system or your process for leasing properties and then be quiet. 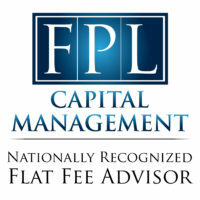 You don’t have to be an expert, but if you if you interviewed three or four property managers and you ask them to explain, “tell me about your system for leasing properties” which if they give you a two sentence response and they don’t, they’re not, it’s not in detail – That’s a huge red flag because screening tenants and leasing properties is like the fundamentals of what property mananaging is all about. You’ll get into more trouble getting bad tenants than anything else. And so I would ask those kind of questions that demonstrate their competence. You educate yourself enough just to ask some of those questions. Coach Carson: [00:48:31] And then the other thing which is not universal for real estate is just are they a trustworthy person. They have references? that can I call those references? can I, Tell me about your history in the business. Look, you know Google them, do all the things that you would do if you were hiring somebody for any other business. And are they are they a decent trustworthy person. And the thing I found is that that seems like a lot. Seems like it’s not a lot of people out there but there are plenty of trustworthy competent people out there who are just looking to make a commission and you are somebody who is an investor can hire those people to help you out. WCI: [00:49:05] Very cool that’s good advice. Anything else you’d like to share with our audience something else you think that they ought to know that they ought to be aware of or something to watch out for? Coach Carson: [00:49:15] Yeah I want to say I mean is more of kind of another benefit of real estate. Just the thing I like about it is that you don’t have to be a rocket scientist to understand the fundamentals of real estate. That’s one of the good things about it. Like for me I would never invest in single stocks because, do I really understand what Tesla is doing? Like I think Tesla’s awesome. I think it’s such a cool concept, but do I really understand the technology and the competition and what’s going on? It’s hard to understand. Real estate on the other hand – All of all of you lived in an apartment, you’ve lived in a house. You understand why people like neighborhoods or they don’t like neighborhoods. It doesn’t take a lot of you know crazy deep understanding to understand why a location and a property is good or is not good. And so I think that’s a benefit that’s something that that’s one of the appeals to me of owning some real estate is that you can own something that is intuitive and simple and understandable. 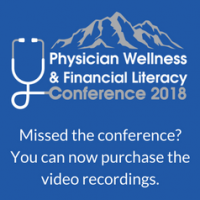 Coach Carson: [00:50:10] Yes there’s some complexity there’s some in the finance and the money a little bit but compared to some of these other financial products that some of you probably get pissed with insurance and you know, other things. This is a pretty simple game – you’ve got to buy a property in a good location, you’ve got to have some basic cashflow criteria, and you got to buy it buy it well, and then get some good management. That’s the rental game in a nutshell. You’re just putting your money in a good location and making sure it does it grows slowly over time. That’s that’s that’s pretty much it. You can get into the notes. If you if you loan money or if you flip properties those are kind of variations on that theme, but basically that’s what drives almost everything else is that basic formula. WCI: [00:50:54] Very cool – so simple even a linebacker can understand it huh? Coach Carson: [00:50:57] Exactly you can get hit upside the head a lot of times and still figure this thing out. WCI: [00:51:02] So thank you so much for being on with us today. You can find Coach Carson stuff at www.coachcarson.com – And we really appreciate you coming on the podcast today. Coach Carson: [00:51:13] It’s a pleasure Jim. Thanks for having me. 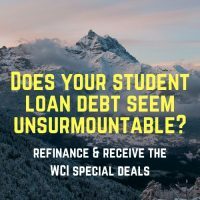 WCI: [00:51:15] Today’s podcast was sponsored by Splash Financial, a leader in student loan refinancing for doctors offering fixed rates as low as 3.25% APR. Hundreds of you check your rate with splash each month and it only takes minutes to do so. They’re one of the few companies that offers a great resident and fellow product as well, offering low rates and deferred payments for up to 84 months. They also don’t charge any application or origination fees and have no prepayment penalties, meaning you maintain your payment flexibility. 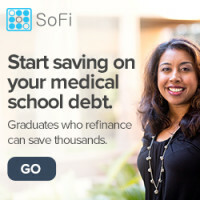 Splash’s new lower rates can save doctors tens of thousands of dollars over the life of their loans. 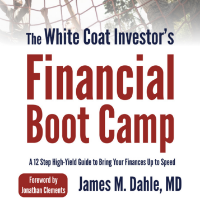 Go to www.whitecoatinvestor.com/splashfinancial today to get your rate in minutes. Head up shoulders back. You’ve got this we can help. We’ll see you next time. WCI: [00:51:57] My dad your host Dr. Dahle is a practicing emergency physician, blogger, author, and podcaster. He’s not a licensed accountant, attorney, or financial adviser. So this podcast is for your entertainment and information only, and it should not be considered official personalized financial advice. Very impressive that at 38 yo Coach has got a real estate empire that supports long trips to foreign countries without worry of loss of income. I wish I had more interest in direct ownership and maybe I got tainted by some bad experiences with the two rental condos I used to own but for now I am satisfied with passive real estate ownership through syndication. I think that Coach should be congratulated on his success, but I see a story that probably can’t be replicated by most of us, and is less impressive than it first appears. 1. He almost went bankrupt due to leverage. That’s a real risk in real estate, which requires leverage to generate enough income to successfully compete with index funds. 2. He was able to borrow money from people who didn’t know what they were doing. Really, lending money to a 23 year old with little or no real estate experience who is putting no cash into the deal? He’s clearly a very persuasive salesman, but this type of financing is not an option for most people. 3. He was able to take a 17 month vacation, by moving to a 3rd world country where his wife supported him by teaching English. Sorry, not impressive. I can live almost anywhere in the world and get by by teaching English. Lots of people do. I could have retired the day after I got married if I could have convinced my wife to keep working and support me. Unfortunately, she refused. .
And let’s not forget his website income, which I’m sure is substantial. And while he managed nicely in Ecuador, I don’t know what his expenses are. I doubt that he and his wife generated enough income from real estate to pay my property taxes, let alone my other bills. Bottom line: Real estate investing is a way to generate income, but it’s not the only way, and it’s probably not the best way. This blog post did nothing to convince me otherwise. I’m not sure the website income is substantial. 1. ” He almost went bankrupt due to leverage” I was no where near going bankrupt. I did have cash crunches and drew on savings in 2008 . But I think you’ll find plenty of existing entrepreneurs and investors who could have said that during that time. Did I have more leverage than is optimal? Certainly. But as I said in the interview – the type of leverage and terms of my leverage made a big difference in reducing my overall risk. 2. “He was able to borrow money from people who didn’t know what they were doing.” – not even close to accurate. Most of my private loans came from real estate investors with 3-4 decades of experience who also had MBAs and PHDs beside their name. I can’t speak for them, but I believe they were convinced to work with me because of my trustworthiness – yes – but most of all because they felt comfortable with the risk and rewards of each deal I presented them. 3. “moving to a 3rd world country where his wife supported him by teaching English. ” My wife volunteered most of her time teaching English. Doesn’t exactly pay the bills. Sorry. 4. “And let’s not forget his website income, which I’m sure is substantial.” My website business generated less than $17,000 in revenue and less than $8,000 of profit in 2017 while I was in Ecuador. Sorry, you’re mistaken here as well. 5. “I doubt that he and his wife generated enough income from real estate to pay my property taxes, let alone my other bills.” The key is that it generated enough to pay OUR expenses. If you have larger income needs, by all means build more income. I know plenty of real estate investors who have done exactly that. Bottom line: Real estate investing has been an excellent way to generate income for me and many others. Of course it’s not the only way, and happy to hear you’ve got other options.